Developer forums - Information on ongoing development. Edit autoexec.cfg (make the file if it does not exist). HUD is stretched awkwardly, affecting gameplay. Available in Video Options or through Launch options. Frame rate cap set to 120 by default. Use to command 'fps_max' to set your custom value in the console. 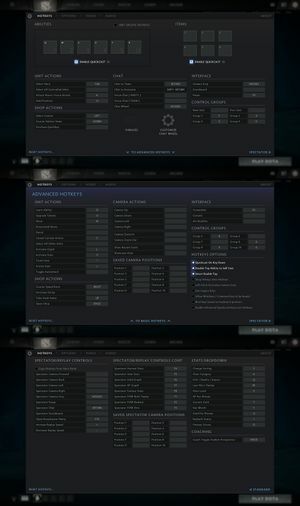 Limited native support; use the Dota 2 Colorblind Mode mod for best experience. 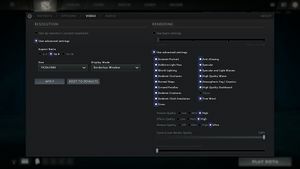 Enabled by default with no in-game option; follow Mouse acceleration to disable. Open the game's launch options. Press OK and close the properties window. Up to proper 7.1 surround verified. Can be changed in Audio Options. 10 Supported but requires an internet connection for Steam authentication. 10 Custom games support 20 players. See also Helix Mod: DOTA 2.
change "setting.cpu_level" "0" to "setting.cpu_level" "2". Find the line voice_mixer_volume, it should be near the bottom of the file. If the line doesn't exist you may create it. Set the value to whatever you prefer your mic volume to be, I set mine to .5 which translates to 50% gain. Removing the line does not work. This will set a fixed value, and might not be a solution for people who are using dynamic gain which Windows (or other applications) automatically adjusts. Right click on the speaker icon located at the tray bar. Double click on your microphone in the newly opened window. Go to Advanced and untick Allow applications to take exclusive control of this device. Most applications ignores this, and many users are reporting that it isn't working. 2.1 Optional (free) DLC on Windows. 1.0 Use -vulkan launch option after installing the Vulkan DLC. If you use multiple launch options, separate them with a space (e.g., -high -console). -console Enables the in-game console. -dashboard international_2012 Launches the game using the International 2012 theme. -dashboard international_2013 Launches the game using the International 2013 theme. -dashboard frostivus_2013 Launches the game using the Frostivus theme. -dashboard spirits_2013 Launches the game using the Three Spirits theme. -dashboard newbloom_2014 Launches the game using the New Bloom Festival theme. -noforcemaccel -noforcemspd -useforcedmparms Disables mouse acceleration. -high Assigns a high CPU priority to the game's client. -windowed -w # -h $ -noborder Starts the game in a borderless window with the specified resolution (e.g., -windowed -w 1920 -h 1080 -noborder). -vulkan Launches the game using the Vulkan renderer if the Vulkan DLC is installed. To use these tweaks you need to create a file called autoexec.cfg in the configuration file(s) location. Each tweak must be in a separate line, and contain a string and a value (e.g., dota_screen_shake "0"). In the Save as type: field, choose All Files (*.*). Save it in the configuration file(s) location. After editing the file with tweaks, simply use File > Save to apply. chat_join "name" Automatically joins a chat channel upon launch. The following values tweak network usage. They may be beneficial in reducing lag. Changing these settings may affect lag for the worse. Do not tweak these if you are unsure about what you're doing. 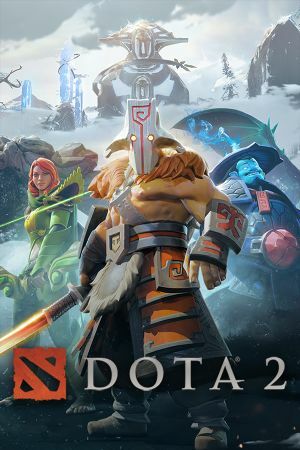 Tom's Hardware benchmarked Dota 2's performance and concluded that integrated Intel or AMD graphics should be enough for 30fps at 1920x1080 on low settings. Windows Vista was previously supported, but as future updates for this game and Steam occurred; the support was dropped. This page was last edited on 8 April 2019, at 10:51.